Editor's note: Levi Kirk has been arrested and charged for the alleged arson, but he has not been tried or convicted. 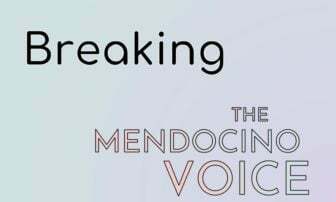 All people charged with crimes should be considered innocent until proven guilty, and the Mendocino Voice has not independently verified any of the claims of the CalFire investigators regarding Kirk. MENDOCINO Co., 10/03/18 — CalFire investigators have arrested Charles Levi Kirk, an 18 year old man from Piercy, CA, on suspicion of starting a number of fires in northern Mendocino County this summer. The month-long investigation into the suspicious fires was a joint effort conducted by CalFire, Mendocino County Sheriff’s Office, and Mendocino District Attorney’s investigators. Law enforcement conducted a search of Kirk’s property on September 26, and discovered evidence which subsequently led to his arrest. Kirk was booked into the Mendocino County jail today and is currently being held on felony charges of “arson of a structure or on forest land,” and for using a device to accelerate the fire. His bail was set at $150,000. 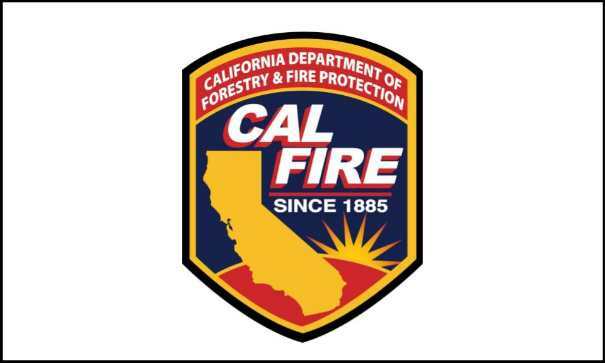 CalFire’s statement on Kirk’s arrest urges the public to be aware that despite the onset of autumn and recent rains, fire season is not over. The public should remain vigilant and prepared for fire dangers, and be aware of any suspicious behavior if a fire does start. Anyone who witnesses suspicious behavior regarding a fire should contact law enforcement — including the time and location of the fire, the suspect’s description, and any vehicle that may have been involved. 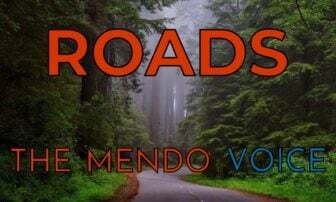 There have been a number of suspicious fires in Mendocino County in the last several months, and the announcement of Kirk’s arrest does not address which specific fires he is alleged to have started. A CalFire spokesperson stated that they could not release information on the specific fires which Kirk is alleged to have started. With the intensity of the fire season causing heightened nerves, rumors and suspicions of arsonists have been widespread, including during the Mendocino Complex fires, for which no official cause has been announced — although residents near ignition points for both the Ranch and River fires relayed stories of accidental causes to Mendocino Voice reporters. Several vegetation fires, including those on Shimmins Ridge, Highway 162, and along Highway 101, have been called suspicious, and scanner chatter during those fires included reports of respondents seeing a man driving around in brown or maroon Isuzu starting fires. However, no official description of any suspect was ever released to the public, and it is unclear at this time whether that description fits Kirk’s. Several other fires in Ukiah have been also been called suspicious. Earlier in the summer, on a day with two different suspicious fires in Ukiah, the Ukiah Police Department charged arrested another man in connection with one of those fires. Thanks Dolly, we appreciate the support! Our mailing address is PO Box 37, Ukiah, 95482. This guy should be executed. 1 trial, 1 appeal then swift justice. All of the fear, devastation, not to mention the resources & revenue he cost the County & Feds, perfect example of a Death Penalty Case. Quickly ! The Kirk family is loved and respected in their small community. Sending them love in this difficult time. I don’t believe he’s guilty. And by the looks of it, seems like the cops are just trying to pin the blame on someone just to justify that they’re “good” at their job.